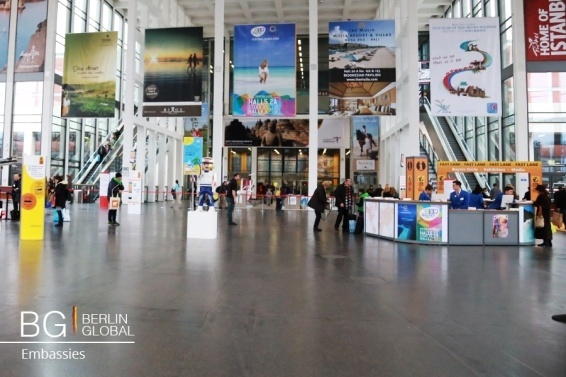 Germany and the Republic of Burundi’s friendly relationship was reinforced again with Burundi’s participation at the recently held ITB 2016, the leading travel industry think thank held annually in Berlin. This year’s ITB was also a 50th anniversary for the convention and Burundi’s delegation led by Mr. Samson Ndayizeye, a permanent secretary at the Ministry of Commerce, Industry, Posts and Tourism, was eager to promote their country. One of the smallest countries in the Africa continent, with a population of 10 million people, Burundi held a booth at the convention, where guests had a chance to experience the traditional life and culture of Burundi. The stand was popular and visitors were received with a friendly welcome as they were able to meet a Cameroonian chief with his guards. Burundi’s Embassy in Berlin is an important representation of Burundi in Europe, since it is also the only office to deal with other European countries including the Vatican, Denmark, the Czech Republic, Austria, Slovakia, Sweden, Norway, Turkey, Finland, Latvia, Lithuania and Estonia. The Ambassador serving in Berlin since 2012 is Dr. Edouard Bizimana. 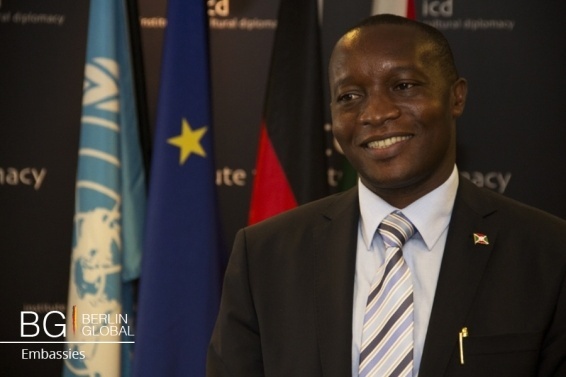 Being responsible for the diplomatic relations, Dr. Bizimana is also in charge of International and Regional Organizations in the Ministry of External Relations and International Cooperation and he is the Permanent Secretary in the Forum of Political Parties. Germany and Burundi’s diplomatic relationship has always been friendly, starting from the German Reich colonial presence in Burundi 1896 – 1916. Germany was also one of the countries to aid Burundi after its independence in 1962. In exchange for this, Burundi supports Germany in international and global issues in the UN. Cultural exchange between Germany and Burundi has been stable since the establishment of the German-Burundian friendship society in the capital of Burundi Burjumbura in 1987. Germany has been taking steps to further their friendship with new initiatives to form international collaboration between these two countries. One of the schools in Burundi was chosen to join this partnership as part of the “Schools: Partners for the Future” (PASCH) initiative. This project was established in 2008 by Germany’s Federal Foreign Office with the goal of strengthening the global network with 1,500 schools that have a unique link with Germany.